Taps are made from ultra fine-grain carbide with a high cobalt-content binder. This allows us to design taps with high shear cutting edges when needed to thread hard metal, Inconel and other materials. The combination of the sophisticated carbide grades with advanced multi-layered coatings is suitable for tapping at high speeds and ensuring unsurpassed productivity. 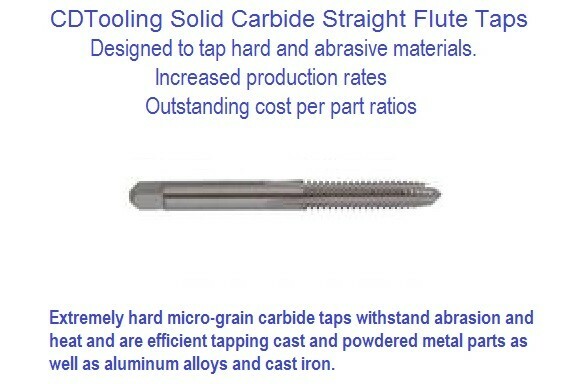 Solid carbide taps up to 3/8” from our catalog, and above that size brazes carbide blades to HSS bodies up to 1 ½”. NPT and NPTF pipes sizes are available as well. Special taps to meet your specifications are made and coated in less than two weeks.